Villas El Encanto Cozumel – The ideal refuge to find harmony of body and mind. The ideal refuge to find harmony of body and mind, pleasant environment, where professional staff will help you with your needs. You will be able to enjoy our swimming pool from 8:00 a.m. to 10:00 p.m. We do not have lifeguard service. Swimming pool towels are available. Each Villa has its own personality, Mexican minimalist concept. Though for enjoying a great vacation in a relaxing way. Each Villa has its own terrace, fridge and safe box, queen size beds, cotton linens and air condition, hot and cold water. Maid services every day except Sundays. Wireless Internet. Food & Beverage: We offer with an extra cost delivery service from 9:00 a.m. to 11:00 p.m. breakfast, lunch and/or dinner. Madrid is the capital of Spain and a city of over 3 million people. Situated close to the geographic center of Spain, Madrid’s main attractions include three internationally acclaimed art galleries, a royal palace, grand public squares, and many museums filled with treasures of Spain’s history. The city is surrounded by it’s own small province, the Comunidad de Madrid. One of Spain’s most famous monuments, the palace of El Escorial, is also located in the Comunidad. Stretching from the charming Plaza de la Villa to the busy Puerta del Sol, the compact heart of Old Madrid is easily navigated on foot. Old Madrid is full of history and interesting sights. Trials of the Inquisition and executions were once held in the Plaza Mayor. This porticoed square is Madrid’s finest piece of architecture from the Habsburg period. Sampling tapas and cocktails are an intrinsic part of Madrid culture. Restaurants rarely open earlier than 8pm, and are typically open into the early morning hours. One of the best ways to sample tapas in a unique lively environment is to sit at one of the stalls in the Mercado de San Miguel, which is half-market, half bar & restuarant. For lodging in Madrid, our top pick is Hostal Madrid. This apartment/hotel is an excellent place to stay if you are visiting Madrid for a few days or for longer periods. Situated in “Old Madrid”, one of two main historic districts in the central city, the location is excellent. Walking distance to some of Madrid’s most important attractions in the Old Town, one can easily reach the Palacio Real and the Plaza Mayor, within about 10 or 15 minutes. Hostal Madrid is closest to the Puerta del Sol, one of the city’s liveliest areas with shops and cafes. Lourdes, France is a medium sized village in the south of France, bordering the Pyrenees Mountains that straddle the border of France and Spain. From this town, many outdoor activities are available, including hiking, biking, fishing, water sports, etc. But, Lourdes is primarily know as a veritable theme park of Christianity. The sanctuary of Lourdes is among the most famous Roman Catholic holy sites in the entire world. While truly Catholic in tradition, the Lourdes sanctuary is among the most international religious pilgrimage sites in the world, and receives about 6 million visitors every year from every continent around the world. The global appeal reaches to all Christian sects, and even the Muslim and remaining outside world. When visiting Lourdes for the first time, it appears that the entire town is dedicated to the history of it’s most famous citizen, Bernadette Soubirous, a Catholic Saint who lived in Lourdes as a child. In 1858, she was privileged with 18 apparitions of the Virgin Mary, in what is largely regarded as a matter of historical fact among almost anyone visiting this area. The circumstances of the apparitions, including the abject poverty of Bernadette’s family, the mysterious location of the apparitions in a rocky cave at the river (known as Massabielle), and the fact that the 14 year old girl foiled all attempts by experienced officials to suppress the events, all lead to an almost mystical attraction for this most holy of places. In fact, it is commonly known today that many non-believers who come to Lourdes out of pure curiosity often leave changed in both mind and spirit. The Lourdes Sanctuary offers Christian devotees virtually every activity that is available for devotion and prayer. Among these activities are Catholic services, candlelight processions, participation in the sacraments, musical devotions, bathing in the holy spring waters, healing services, walking or hiking the stations of the cross, historical and religious films, etc. The town also features several tourist spots that are important in the life of Bernadette and history of the town, including the Boly Mill, Le Cachot, Hospice, and ancient Parish Church. One day pilgrimage programs are available every day between May and October. You can simply arrive and join in the program. However, to participate and fully experience all that Lourdes has to offer, a minimum visit of 3-4 days is recommended. 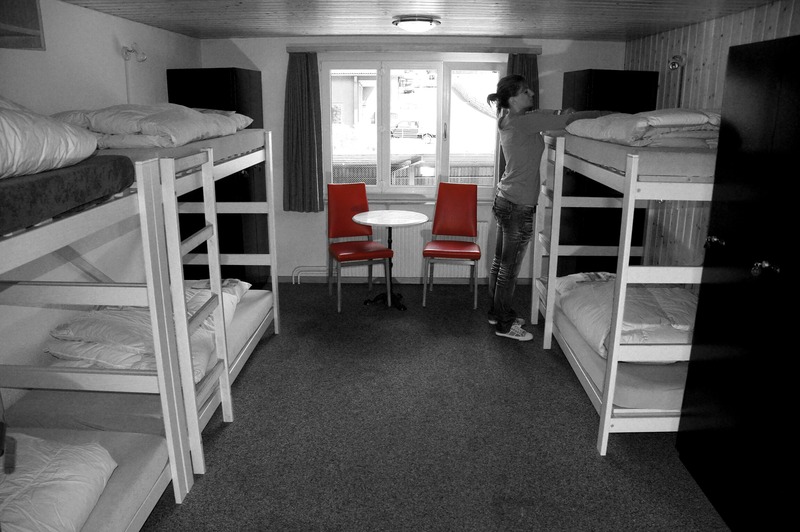 Accommodation of kinds are available in Lourdes, ranging from youth camps up to fine hotels. Our pick is Appart Hotel Victoria Garden. Appart Hotel Victoria Garden is an excellent place to stay if you are visiting Lourdes for a few days or for longer periods. In the central part of town, the hotel is only a 10 minute walk to the sanctuary, local museums, and great tourist restaurants. Offering hotel rooms as well as apartment-style accommodation, you can feel free to settle in and enjoy your visit according to your own travel style. Picturesquely sited on a hill above the River Tagus is the historic centre of Toledo. Behind the old walls lies much evidence of the city’s rich history. The Romans built a fortress on the site of the present-day Alcazar. The Visigoths made Toledo their capital in the 6th century AD, and left behind several churches. In the Middle Ages, Toledo was a melting pot of Christian, Muslim and Jewish cultures, and it was during this period that the city’s most outstanding monument – its cathedral – was built. In the 16th century the painter El Greco came to live in Toledo, and today the city is home to many of his works. In 1085, when Alfonso VI of Castile took Toledo from the Moors, the entire walled expanse near the old Bisagra Gate came under the control of the first Cardinal of Toledo after the Reconquista. His name was Bernard of Cluny. Having been a walled city (7th C. King Wamha), the city has various Gothic and Roman gateways and bridges including the gateway of the Sun (Mudejar), the Cambron, the Valmardon, and the Bisagra gates. Over the succeeding centuries the walls lost their defensive nature and it became a recreational estate for the Cardinals. Towards the end of the 18th century, Cardinal Lorenzana constructed a pavilion overlooking the garden, which, after its restoration, is now known as the Hostal del Cardenal. This is our hotel pick in Toledo. The Hostal del Cardenal is a 3 star hotel with excellent access to the medieval historic old town, and top-notch amenities. Don Francisco Antonio de Lorenzana y Buitron, a strict guardian of ecclesiastic discipline, a man of piety, culture, firm character and an independent thinker, after becoming the dean of the cathedral, was named Archbishop of Plasencia (1756) and Archbishop of Mexico in 1766, where he would demonstrate his enlightened and philanthropic nature. In 1772, he was named Archbishop of Toledo, becoming a Cardinal in 1779 and eventually the Grand Inquisitor of the Kingdom. A stairway whose railing dates from the 16th century leads to the upper flow where a replica of El Greco’s ‘Storm over Toledo’ hangs in the anteroom of a neo-classical social hall. Two cordovan leather armchairs huddle around a central fireplace in the middle of the irregularly shaped room decorated with etchings from the National Printing Office. The lush gardens, a replica of the Generalife gardens of the Alhambra, boasts fountains that flow into long pools with cypress trees on either side. At the bottom of the stepped garden, past the century-old white mulberry trees and the privet bushes is a building in the Mudejar-Castillian style of St. James Church in Toledo, which houses the restaurant. Barcelona has one of the greatest collections of Art Nouveau buildings of any city in Europe, and more of this style of architecture than any city in the world. The style, known in Catalonia as Modernisme, flourished after 1854. This was when the city decided to dismantle the medieval city walls to make room for development. This was previously a military construction-free zone. Eixample is one of three great historic districts in central Barcelona, getting its name from the “expansion” that occurred in the latter half of the nineteenth century. The plan called for a rigid system of grid-aligned streets. At each intersection, the corners were chamfered to allow buildings to overlook squares. One of the great exceptions to this grid system was the “Diagonal”, a main avenue running from the aristocratic area of Pedralbes down to the harbor. Another exception was the diagonal Avenguda de Gaudi, which runs diagonally from the Hospital de la Santa Creu i de Sant Pau towards Antoni Gaudi’s church of the Sagrada Familia. This church is Barcelona’s most celebrated Modernista building. Gaudi’s unfinished masterpiece was begun in 1882. It rises above the streets of Eixample. The polychromatic ceramic mosaics and sculptural forms inspired by nature are typical of Antoni Gaudi’s work, from which the term “gaudy” is derived. For an economical stay in Eixample try our pick, Travessera de Gracia Rooms, located at Travessera De Gracia, 366-1. This apartment/hostel offers easy access to all the main attractions in downtown Barcelona. Its location is excellent and convenient. This apartment is walking distance to Barcelona’s most important monuments and buildings in the Eixample, only 5 minutes walk from the Sagrada Familia. Good restaurants are found nearby at Avinguda de Gaudi, only 4 blocks away. While one can also walk less than 2 miles to Barcelona’s Old Town, where the world famous Las Ramblas is found, it is also conveniently reached by taxi, bus, or metro. Las Ramblas is Spain’s most famous street. The third district with much interest to tourists is Montjuic, best reached from Eixample by public transportation. Want to gain a major boost in traffic and online exposure for your hostel? HostelTraveler.com has introduced a major service level enhancement for it’s hostel partners worldwide. Now, when you list your property with HostelTraveler.com, we translate the information you submit into 14 different languages. We then publish your property on 14 individual multi-lingual webpages, each dedicated to only your property. This is a major level of service that only Instant World Booking provides for free to hostel partners. In fact, it’s a must-have service for any lodging who wishes to gain serious exposure on the web. As always, HostelTraveler’s services are free for hostels to use. We invite you to compare services of competing online marketing providers. Some others provide rudimentary translations, others offer none. Then come to HostelTraveler.com, which provides 14 unique and search-optimized (SEO) pages to get your hostel ranked at the top of multi-lingual web searches. Tour and See Hostels Before You Visit! We want to tell you about a great new feature HostelTraveler.com and Instant World Booking have just introduced for hostels and their guests alike. Hostels who display their information on our network of sites can now include unlimited photos on their listing. So why is this so great? You can now view everything there is to see about your hostel destination before you book. That’s right. So you’ve visited dozens of hostel websites, and a few booking services before. You’ve seen the drab pics that are posted. You know, probably 4 or 5 at a time, and barely larger than a thumbnail. That doesn’t give you anything to rely on when trying to decide on a stay for your next vacation. HostelTraveler.com now features the capability to add unlimited photos to a hostel’s listing page. And these are not tiny thumbnails. These are big, beautiful “fill-the-screen” photos. Hostels can upload photos of their property up to 8mb, allowing guests and visitors to view their location in all it’s glory. Visit HostelTraveler.com hostel pages soon, and see the new photos that are being added every day. Welcome to HostelTraveler.com’s Hostel Corner. Here we invite our partners far and wide, including youth hostels, budget hotels, inns and guesthouses to post their comments. Whether you’re in the modern or medieval cities of Europe, the mountains or beaches of South America, or the far reaches of the Far East, tell us about your hometown, and the unique charms you have in store for our travelling guests. Join in our travel expert blog, and share with us your local customs, traditions, and attractions. Do you have any seasonal events or festivals? What about expert travel tips for visitors to your city? Transportation and how to get around? Oh, and don’t forget your best travel deals. Share what’s best about HostelTraveler.com and the Instant World Booking network. Tell your guests what’s unique or great about our service, and how we help you keep your guests happy and coming back year after year. This is Hosteltraveler.com travel expert. Unique places, personalized services, best deals are what have given us the privilege of serving our customers better each day. We keep getting reviews, views, experiences that our customers are kind to share with us. Hence, with this blog, we are starting with a few reviews as they were sent to us by our customers. Also this is a place where you can ask your queries, post comments. Keep checking this place, as there €™s a lot more to come here.